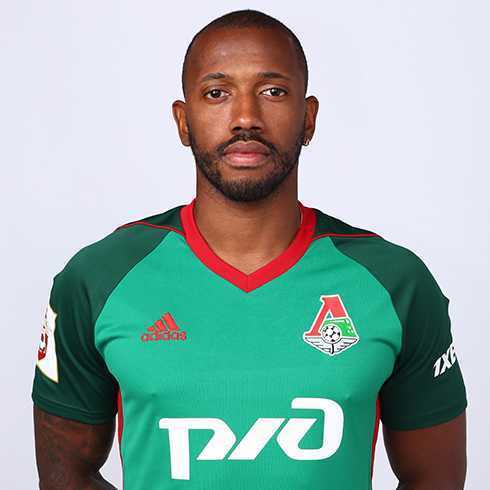 A Portuguese professional football player, Manuel Fernandes is currently playing as a midfielder for National Team of Portugal and Russian football club FC Lokomotiv Moscow. Fernandes started his football career from Benfica and played for various clubs including Portsmouth, Everton, Valencia, and Besiktas before heading Moscow in 2014. Firstfute Football Agency is the agent of Manuel Fernandes. He has represented Portugal U17, U19, and U21 team and Portugal senior team in 2005. He was also included in the FIFA World Cup 2018 squad for Portugal. The full name of Fernandes is Manuel Henrique, Tavares Fernandes. He was born on 5 February 1986 in Lisbon, Portugal. He was raised by his mother Anastacia Tavares. Fernandes grew up in Amadora part of Lisbon. He holds Portuguese nationality. His swiss cousins Adilson Cabral, Edimilson Fernandes, and Gelson Fernandes were also football players. Fernandes used to play street football with Nani, future Manchester United star during their youths. Fernades joined Benfica and started his youth career from there. He became the second youngest ever goalscorer for the club. Benfica promoted Fernades to the senior team in 2004. After 11 years, Benfica managed to win the Primeira Liga title. Fernandes was diagnosed with an inguinal hernia and underwent surgery in 2005. In 2006, Benfica loaned Fernandes to Portsmouth of the Premier League for a transfer amount of around 7 million pounds. Portsmouth decided not to make the loan move of Fernandes permanent because of high transfer fee and Fernades returned to Benfica. Premier League club Everton signed Fernandes on loan in January 2007. Following the complications to make his loan move permanent due to his playing rights owned by the third party, Fernandes moved to La Liga club Valencia in August 2007. Valencia signed Fernandes in a six-year deal in August 2007 for a transfer fee of 18 million Euro. Fernades went scoreless in 13 official appearances for the club. Valencia loaned Fernandes to Everton in January 2008 until the end of the season. Fernandes returned to Valencia for the 2008-09 season. Fernandes failed his medical exams while trying to sign with Italian club Inter Milan in 2010. 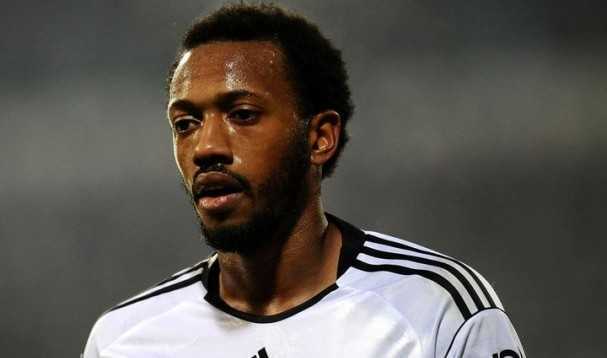 Valencia loaned Fernandes to Besiktas in December 2010 to play until the end of the season. Fernandes played a key role when the club won the Turkish Cup in 2011. Fernades signed with Russian club Lokomotiv Moscow in June 2014. Fernandes scored 3 goals in 17 minutes against FC Fastav Zlin on 28 September 2017, which became the fastest player ever to score a hat-trick in the history of the UEFA Europa League. Fernandes has represented Portugal at different age levels and made his senior debut for Portugal in February 2005. Fernandes made his World Cup debut in 2018 FIFA World Cup Russia. Previously, he was not included in the World Cup squad of Portugal. Manuel Fernandes stands 5 feet 9 inches tall and weighs 69 kg. He has an athletic body build. No personal information about Manuel Fernandes is available on any social media. He has managed to keep his personal life private. Thus, there is no information about his relationships status. He is active on Instagram and we can follow his activities there. In May 2013, Fernandes was charged for battering two Turkish women in Istanbul and was fined $4300. As of 2018, the net worth of the 32-year old Lokomotiv Moscow midfielder, Manuel Fernandes is estimated at $4 million. He has an annual salary of 3.5 million. In 2007, Valencia signed Fernades for 18 million Euro and his buy-out clause was set 60 million Euro.